TORONTO — Involving community members in wind-farm planning and ensuring nearby residents benefit from turbines would go a long way toward winning local buy-in for such projects, a new Canadian study concludes. The study, published in a recent edition of the Journal of Environmental Policy and Planning, notes that fast-paced development and limits on local decision-making has resulted in strong opposition to wind projects. Those objections can be mitigated by the fair distribution and amount of area benefits, the authors write. "This comparative case study of policy programs in Canada highlights stark differences in various aspects of perceived economic benefits and support for local wind-energy development," the authors write. "This work adds to the growing literature that suggests that resistance to wind energy in Canada is at least partially due to the policy levers used in areas going through energy transitions." For the paper, Chad Walker and Jamie Baxter with Western University's department of geography compare approaches to wind-energy development in southwestern Ontario and Nova Scotia. In Ontario, for example, the study notes that the 2009 Green Energy Act limits community involvement during planning stages resulting in criticism of a top-down, corporate-led pattern of development in which almost all of the province's more than 6,000 turbines are corporately owned outside of their host communities. Nova Scotia, on the other hand, has made a concerted effort to support community-owned development and keep the economic benefits in the province, the study says. "The general lack of financial benefits and opportunities to invest in local wind projects in Ontario may be added to the long list of things responsible for intense pushback to development in the province over the past decade," Walker said in a statement. "In Nova Scotia, support for local wind projects was three times higher and perceptions of health effects were three times lower." 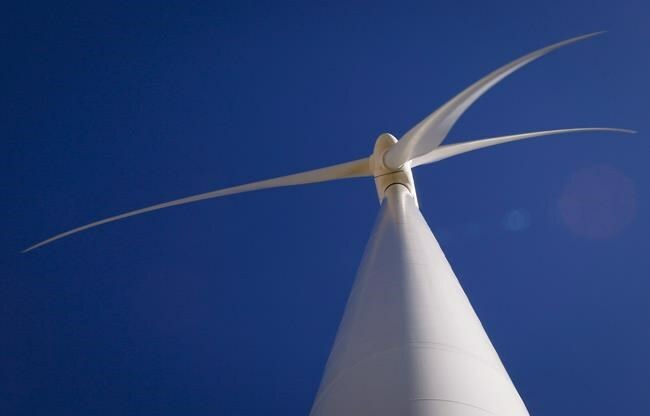 According to the study — titled "It's easy to throw rocks at a corporation: Wind energy development and distributive justice in Canada" — benefits flowing from wind farms can include tax revenues for municipalities and community funds, as well as payments to landowners for having turbines on their properties. Other benefits involve partial or outright ownership of a project by local citizens or community groups who share in the profits. The study also finds support for ideas such as providing tax rebates in areas that are home to turbines. At the same time, however, it finds that financial benefits should not be used to avoid minimizing the risks posed by turbines. "Ensuring that things like health, noise, and property value loss mitigation are addressed is important regardless of financial benefits distribution," the authors state. All in all, the authors conclude that efforts to site new projects should focus on local fairness. In addition, they say Canada might benefit from a registry in which residents, developers and local politicians can view the range of community benefits that have been used in projects across the country. Such a registry might force developers to think more critically about what they have to offer to local residents, and be a resource for residents to see what's happened elsewhere.